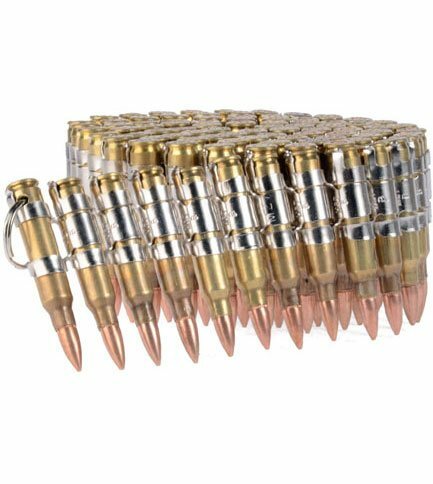 .223 Bullet belt with brass castings and nickel links. 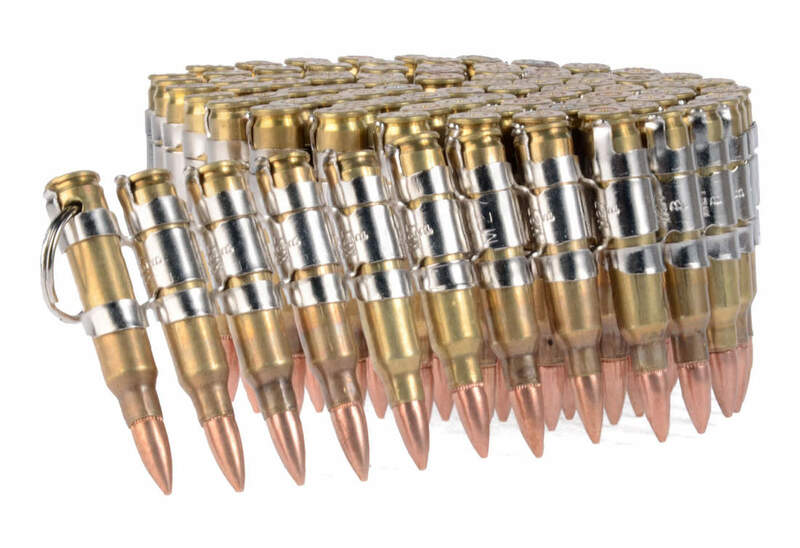 Bullets measure 2 1/4 inches tall. Rounds are inert and have no powder or firing pins. Medium: 38" in length, Large: 42" in length. Perfect, as Described. Will order again. Great, will order again for friends.